The meeting was organised by Cambridge University's Arab Innovation Network Society, a group of Arab researchers from the University of Cambridge (UK) working on an innovation focused initiative launched through this conference in Abu-Dhabi, United Arab Emirates (4-6 December 2012) to promote an active Arab Innovation Network [AIN]. 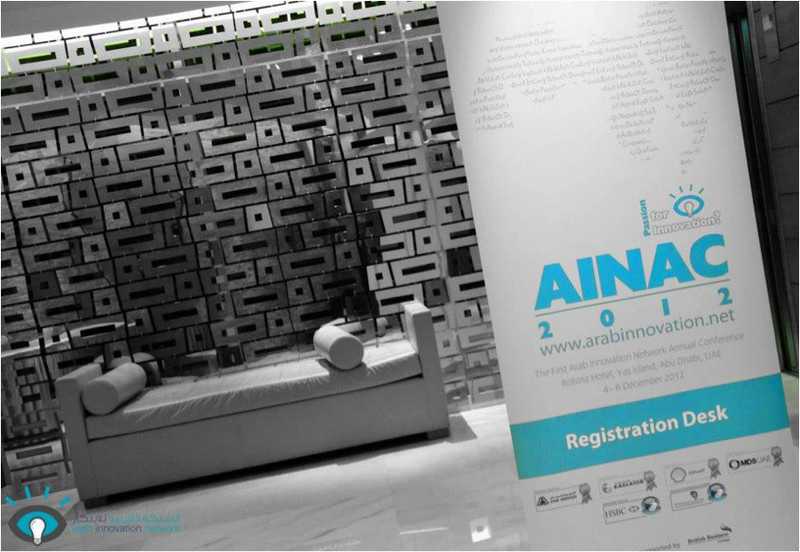 AIN is a student initiative dedicated to inspire and motivate innovation on a multi-disciplinary level, by creating a platform for young inventors and entrepreneurs to showcase their projects as well as interact and learn from industry and academic partners. at the Rotana Hotel, Yas Iseland, Abu Dhabi. In his talk entitled "1001 Inventions: A New Inspiration for Scientific Research, Innovation and Inter-Cultural Respect" presented in Arabic, Professor Al-Hassani gave numerous slides showing machines and devices reconstructed from orginal manuscripts and produced in 3D animations. This had demonstrated the originality and genious of the scientists and engineers within Muslim culture. He showed how numerous men and women of various faths and cultures worked together in enriching the lives of the societies in which they lived. He observed that much of the funding spent on scientific research is usually to provide social and economic security and to reach a high and respected ranked position among developing countries. The most important factor in realising this objective, in economic terms, are human resources. However, each society has specific socio-genetic characteristics, some of which are inherited and others are acquired. Therefore, for any strategy to prevail in this domain, it must resonate with these characteristics. the UAE minster of Higher Education and Scientific Research. Wondering what are the motives that drive the youth and other components of society and push them to engage in science research, and what are the positive factors for the dissemination of science in society, he proposed as a model the successful experience of FSTC flagship project "1001 Inventions"; the world touring exhibition with its accompanying book, films, website and educational resources. Professor Al-Hassani also presented proposals and recommendations for a global strategy towards knowledge society in the Arab world. This strategy will be centred around developing a cultural movement among the youth to celebrate scientists and inventors, men and women, from Muslim civilisation, and reviving of the institution of waqf (endowments) and all initiatives of charity to sponsor scientific research and technology and to encouraging education and training. Part of this strategy will be to revive the memory of present Arab societies of the cultural roots of science. Also to enrich the curriculum by introducing educational resources disclosing the influential of past contributions to the present civilisation. A special dedicated support should be given to universities, in graduate and under-graduate levels and in educating the public at large. Professor of Mechanical Engineering at the University of Manchester since 1991. He worked in industry with directorships of many firms and held academic posts in the UK and overseas. He was awarded sizeable national and international research grants and published over 200 papers in international scientific journals and books. He is a fellow of the Institute of Energy and member of the Institute of Directors. His side interest in the History of Science and Technology earned him worldwide reputation. He is an honorary Professorial Fellow at the Faculty of Humanities, University of Manchester. Recently, he was awarded the prestigious Fellowship of the British Science Association for his work to promote the scientific and technological heritage of Muslim civilisation. He is presently President of the Foundation for Science, Technology and Civilisation, UK. He is the founder of the portal www.Muslimheritage.com visited by millions who seek knowledge on the 1000 years of Science, Technology and Culture missing from schools curriculum and the media. He is the Chief Editor of the book entitled "1001inventions: Muslim Heritage in our World" and Chairman of the global 1001inventions initiative which includes world touring exhibition, films, educational packs and related website www.1001inventions.com .